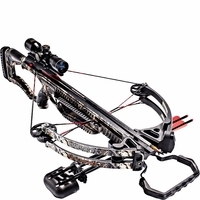 Barnett Whitetail Hunter II � Reaching speeds of 330 fps, this isn�t a child�s bow. Thankfully, safety features like anti-dry fire were included to ensure you never fire until you�re good and ready. 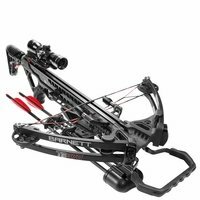 Barnett Raptor FX3 Crossbow � A solid, compact unit that weighs in at 6.4 pounds, you�ll find the Raptor FX3 has the power it needs to hunt game while staying tight to the body for maximum maneuverability. 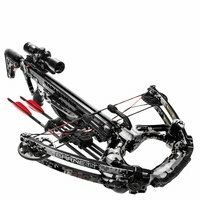 Enjoy speeds of 350 fps, and consider a package including a 4x32 site, arrows , and other accessories. 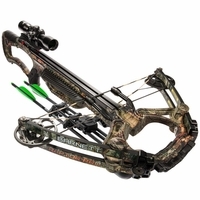 Barnett Buck Commander Revengeance Crossbow � This is one of the smallest quad models shooting a blazing 400 FPS. 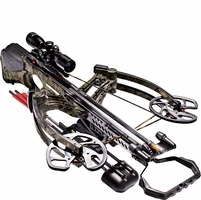 The reverse limb technology keeps the bow compact and the advanced trigger technology assures you and your hunting party will stay safe and secure. 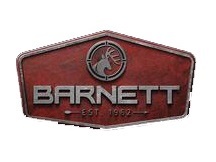 Barnett Ghost 420 CRT2 � CNC-machined aluminum flight tracks and custom laminated limbs produce the power needed for top performance. 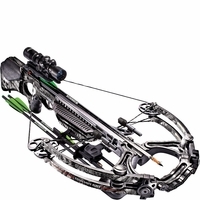 Some accessories are included, from illuminated sites to cocking devices and arrows with special tips. 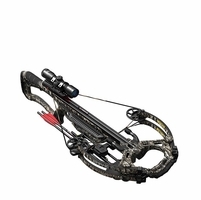 The 420 sports Barnett�s Carbonlite Riser Technology (CRT) enjoys a top-shelf safety rating. Having a hard time selecting the right Barnett crossbow for you? Take a moment to contact our sales team. 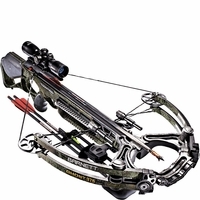 We only hire experienced bow enthusiasts, so you know they�ll be able to answer your questions thoughtfully and right away. 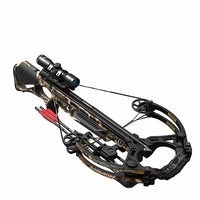 The advice you get at Outdoors Experience is almost better than the products, so don�t be shy. Reach out whenever you need help with your order.